The State Opera of South Australia was established under The State Opera Act of 1976 to present, produce, manage and conduct theatrical and operatic performances of any kind as may in its opinion tend to promote the art of the opera and related theatrical arts. 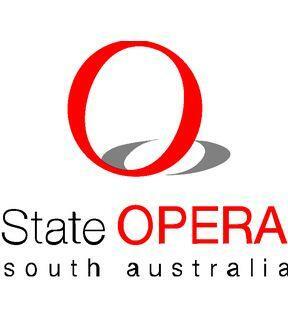 The State Opera receives financial assistance from the South Australian Government through Arts South Australia and the Commonwealth Government through the Australia Council. Each year, The State Opera presents at least three major operatic productions at the Festival Theatre in Adelaide as well as producing and/or supporting many smaller productions in The Opera Studio. The 2004 State Opera of South Australia production of Wagner’s Ring cycle (recorded and released by Melba Recordings) received eight awards at the 2005 Helpmann Awards – Best Opera, Best Special Event, Best Direction of an Opera (Elke Neidhardt), Best Music Direction (Asher Fisch), Best Male Performer in an Opera (John Wegner), Best Female Performer in an Opera (Lisa Gasteen), Best Male Performer in a Supporting Role in an Opera (Stuart Skelton), and Best Female Performer in a Supporting Role in an Opera (Deborah Riedel). In 2009 State Opera will present The Shouting Fence (Chew/Gough), Dear Edwina (Goldrich/Heisler), The Tales of Hoffmann (Offenbach), The Girl of the Golden West (Puccini), The Flying Dutchman (Wagner) and several concerts.